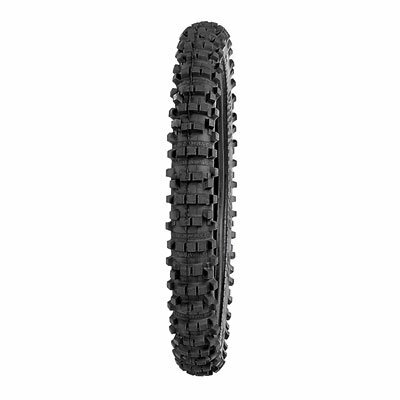 If you ride on the dirt but occasionally need to hit the streets, the Kenda K760 Trakmaster II Front is a great tire that performs on both. With the Trakmaster you get a DOT compliant, 6 ply carcass that delivers excellent traction and cornering on dirt, but holds up to quick trips on asphalt. Tall, aggressive knobs make up the tread pattern and help make the Trakmaster more than capable off road. But the rubber compound, relatively close lug layout, and DOT compliant mean the Trakmaster is also good for about 10% on-road use. Perfect for when you need to take your enduro or dual-sport on paved roads to get from one trail to the next.